The World Cup, held this year in the spiritual home of football – Brazil – saw countries across the globe gripped by football fever with broadcasters optimistic that the viewing figures will surpass the 909 million who watched the Spain vs. Netherlands final in 2010. To put it into context, 108 million people watched this year’s Super Bowl – the World Cup will certainly dwarf that figure. The biggest sporting event in the world, where football players are immortalized, has provided such classic moments such as this and that. Wouldn’t these moments have been enjoyed all the better in glorious 4K or with second screen engagement? World Cup matches were shot and broadcast for the first time in 4K at this year’s tournament. FIFA struck a partnership with Sony to shoot and transmit the matches – one from the round of 16, one quarter final and the final itself. Sport is one of the great selling points for 4K, with its ability to offer greatly enhanced pictures which can better capture the dynamism of the action on the pitch and add a whole new dimension in viewing sports on television, bringing it closer to watching the action in person. It wasn’t merely the introduction of 4K into this year’s World Cup that sent waves across the industry; the spectacular also provided significant opportunities for those involved with the second screen. The mobile video audience for the event in 2010 was 45 million and after the final tournament figures are calculated it’s expected to have increased a colossal 88% for the 2014 World Cup. According to Akamai, the peak traffic during the 2010 World Cup was 1.4Tbps. However, these records were smashed during this year’s tournament, with Argentina’s semi final against the Netherlands peaking at 6.9Tbps. The evidence suggests that this World Cup saw second screen apps grow considerably, with Twitter reporting more than 300 million tweets about the World Cup in the early stages alone. This figure vastly eclipses the 150 million tweets generated during the 16 days of the London 2012 Olympics. 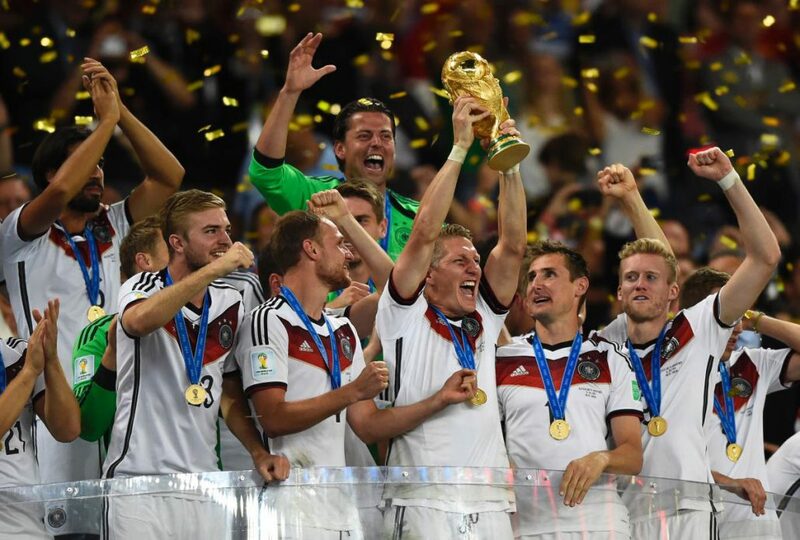 The Brazil/Germany semi-final alone ended up generating a new record for a sports event, with over 35m tweets. The final was also the most talked about sporting event on Facebook, with a total of 280 million interactions by 88 million users, including comments, likes and posts. This is the first World Cup where there was such an emphasis placed upon the second screen and what is available in that space. In the 2010 World Cup, the technology was in its infancy stage and had yet to truly capture what has now been made possible by the second screen. Those broadcasters who had rights to this summer’s FIFA World Cup had access to an extra 1,500 hours material that was available for second screen delivery for the first time. Viewers on the free to air channels broadcasting the World Cup in the UK were also able to choose their own camera angles for replays during matches for the first time. Despite the lacklustre performance of their national team, the English Football Association created a string of second screen marketing initiatives around the World Cup with the overall aim to provide a more “brand-centric” approach to fan engagement and in turn boost commercial revenues. They did this through statistics, video and behind-the-scenes content from the England camp that was beamed to fans during matches. The second screen also ensured that FA sponsors who were not official World Cup partners had a presence during the tournament, such as Nike, Vauxhall and William Hill. Although the headlines rightfully went to the action on the field in what was the best World Cup in my living memory, these significant breakthroughs in the TV experience that happened around the World Cup show just how evolved this new TV space has become.